MarioxPeach: pinguin, penguin cinta. . HD Wallpaper and background images in the Mario and persik club. 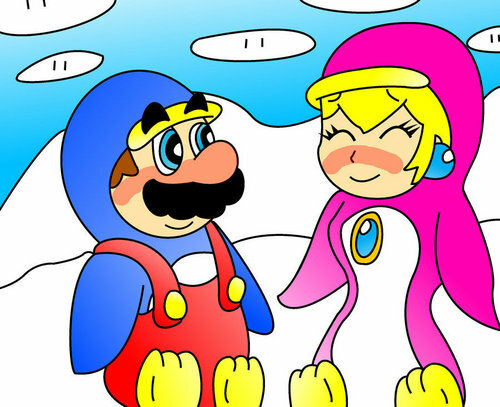 This Mario and persik fan art contains anime, komik, manga, and kartun. She loves me atau not? Mario and Princess persik Honeymoon Love.